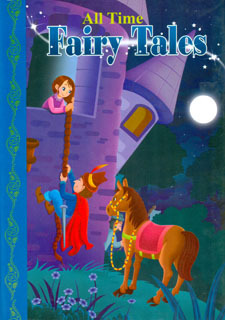 Fairy Tales story book is an exciting collection of stories explaining the importance of good behaviour. Each story will help the kids to learn the essence of good behaviour. The stories have been presented in an interesting way using easy and lucid language with beautiful illustrations. Kids will enjoy reading the stories. The language used in this book has been kept simple so that people of all age groups can easily understand the stories. There are beautiful illustrations in the book to attract the minds of the readers. We expect that readers would appreciate the efforts. So, Kids! Enjoy reading!Nota: contiene ilustraciones a color.The stories have been presented in an interesting way using easy and lucid language with beautiful illustrations. Kids will enjoy reading the stories. The language used in this book has been kept simple so that people of all age groups can easily understand the stories. There are beautiful illustrations in the book to attract the minds of the readers. We expect that readers would appreciate the efforts. So, Kids! Enjoy reading!Nota: contiene ilustraciones a color.The language used in this book has been kept simple so that people of all age groups can easily understand the stories. There are beautiful illustrations in the book to attract the minds of the readers. We expect that readers would appreciate the efforts. So, Kids! Enjoy reading!Nota: contiene ilustraciones a color.So, Kids! Enjoy reading!Nota: contiene ilustraciones a color.Nota: contiene ilustraciones a color.